Cassia is centrally located within Laguna Phuket, Asia's premium integrated resort complex and only a short drive 21 kilometres south of Phuket Airport. The resort faces the Andaman Sea and has gorgeous views towards the world famous Bang Tao Beach. Cassia Phuket offers 206 uber chic serviced apartments, each with separate bedroom,living room, kitchen, balcony and shower. Many residences have a Loft hang out area with panoramic views of the lagoon, ocean or park. Cassia offers two swimming pools; a private area on Bangtao Beach; super cool kids' play areas and Chill Chill Spa. Cassia is a limited service property, offering housekeeping every second day and a continental breakfast. Guests are rewarded with beautiful accommodations and remarkable value for money. Outrigger Laguna Phuket Beach Resort is perfect for those seeking a romantic getaway with their loved ones as well as those that are looking for a safety yet enjoyable location to spend time with their family. Only 25 minutes's drive from Phuket International Airport, Outrigger Laguna Phuket Beach Resort boasts an absolute beach front location on Bangtao Beach in Phuket, Thailand. 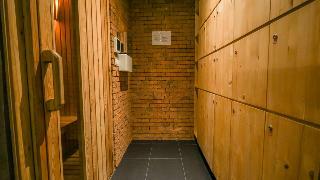 The resort offer spacious accommodation options, an exclusive Voyager 47 club lounge offering the high level of service and amenities for Club level guests and Koh Kids, kids' club to keep the youngers entertained. Indulge yourself at our day spa or enjoy the family fun in the swimming pool with 55-metre water slide, then treat your family to a delicious meal at one of our three restaurants (Locavore, Metzo and Edgewater). The resort features 44 spacious suites available in three room types ranging from 65 - 113 square meters. All suites feature separate living and dining area, convenient kitchens and furnishings.Resort amenities available to guests include a swimming pool with waterslide, a pool bar, restaurant, kid's club, plus free wireless at resort.Food & Beverage FacilitiesSeedlings Restaurant:The restaurant offers a wide selection of Asian specialty noodles and snacks overlooking Laguna Phuket Golf Course. Also a perfect is to relax by the pool or at al fresco dining area (weather permitting) while sipping your favorite cocktails or wines.Operate daily from 06.30 hrs. to 22.30 hrs.Bar: Refreshing variety of alcoholic beverages, soft drink and coffees in a delightful setting.Room Service is available (during limited hours).A children's menu is available. Nestled amidst lush greenery on a hillside setting in Laguna Phuket, this beach hotel enjoys spectacular views over the luxuriant green fairways. A sprawling sandy beach and tropical lagoon are just a few metres away where guests can lounge on the golden sands or enjoy a refreshing swim in the crystal water. There are a host of attractions and activities in the vicinity of the hotel, offering guests the opportunity to experience the true culture of the island.The beautifully decorated guest rooms offer natural light and bright colours reflecting the serenity of the island's peaceful surroundings. There is also a business centre onsite, catering to the needs of business travellers. 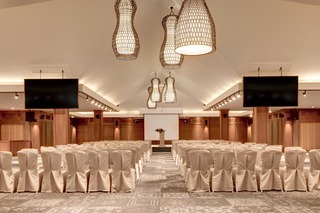 Nestled amidst acres of tropical gardens on the idyllic shores of the Andaman Sea, Dusit Thani Laguna Phuket is located in the heart of Laguna Phuket, Asia's finest destination resort. This sanctuary of tranquillity, shaded by native casuarinas and coconut palms, features unique neo-colonial architecture underpinned by modern Thai style. Gentle breezes waft through the vaulted ceilings of the open-air lobby, carrying the sound of breaking waves from the adjacent Bang Tao beach. Guests enjoy access to a range of world-class facilities, including the 18-hole Laguna Phuket championship golf course, spas, restaurants, bars, boutique shopping, horse riding and an outdoor adventure training centre. Everywhere within the Dusit Thani Laguna Phuket resort is easily accessed within minutes by complimentary shuttle boats and buses. Set around a hidden lagoon, at the heart of it all yet delightfully tucked away - Angsana Villas Resort Phuket puts the 'Pearl of the Andaman' at your fingertips. Find all the comfort, service and worry-free spirit of a luxury resort paired with the space and privacy of your favorite vacation home. 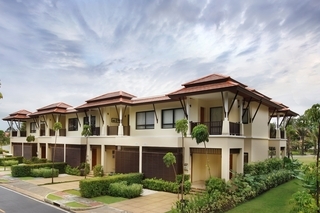 Situated within the larger Laguna Phuket Destination Resort, the suites and villas unfold over a luscious green landscape. Take advantage of the many restaurants, excursions, shops, spas and other amenities of this unique resort community, and explore the many exciting facets of visiting Phuket. 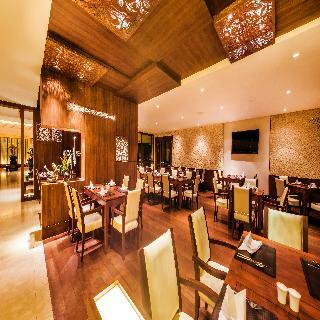 "This family-friendly beach resort basks in its idyllic setting on the northwest coast of Phuket Island. The resort is quietly nestled between Phuket Laguna and the pristine sands of the beach, fringing the azure blue waters of the Andaman Sea. 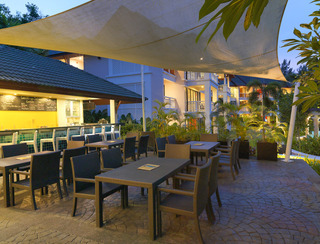 Just 20 minutes' drive away guests will find the entertainment hub of Patong Beach. 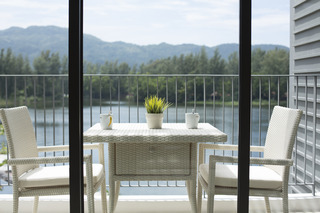 The resort is located just a 15 minutes' drive from Phuket International Airport.Nestled amidst tranquil, tropical surroundings, this resort blends effortlessly with its natural environment. The beautiful bedroom suites combine luxury and private living offering guests the perfect, intimate surroundings in which they can relax and unwind at the end of the day. The resort boasts an array of first-class leisure and dining options for guests, to ensure that every visitor leaves with memories to last for a lifetime. 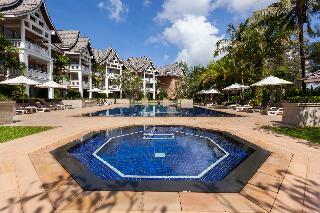 Diamond Resort Phuket features an outdoor swimming pool, fitness centre and garden in Bang Tao Beach. Guests can enjoy Asian and International dishes at the on-site restaurant.All rooms here will provide you with a kitchenette with a microwave.A buffet breakfast is available daily at the resort.Staff at reception can provide assistance around the clock with information on the area.Catch Beach Club is a 14-minute walk from the hotel. Phuket International Airport is a 20-minute drive away, and Diamond Resort Phuket offers a free daily shuttle service to Bangtao Beach, Boat Avenue Complex and Laguna entrance.This hotel is also rated for the best value in Bang Tao Beach! Guests are getting more for their money when compared to other properties in this city.We speak your language! Very friendly staff, good location and shuttle available all day.